Let's get graphic. Not Nat Geo graphic, I'm talking graphic tees. It's not quite tshirt weather (far from it) but today, let's look at some long sleeve text tees that are casual. Simple and yet so cool. I'd pair it with a denim jacket or even a black blazer. 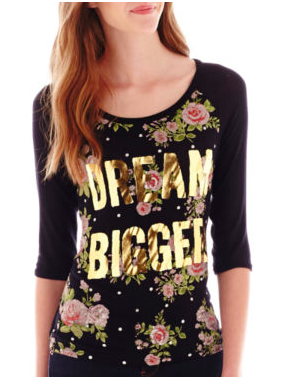 A cheeky mix of floral and gold with a feminine scoop neck and baseball style sleeves. 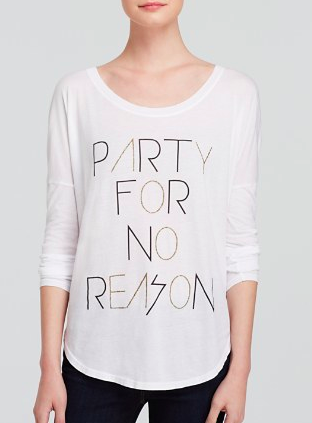 I firmly agree with the sentiment of this shirt and I love the rounded hem that compliments the scoop neck. 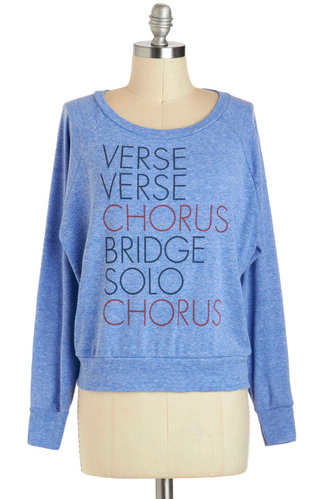 Aside from the washed blue hue, I love the font of the text on this tee. It's big and bold. 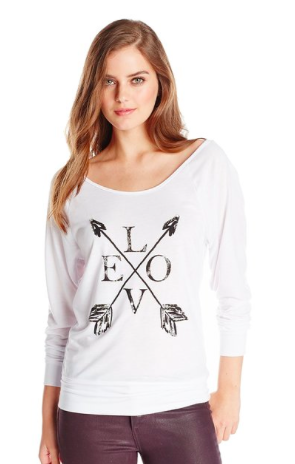 A great text/graphic tee is such fun way to add some quirk your outfit. Leave the accessories at home because the shirt is going to do the talking.